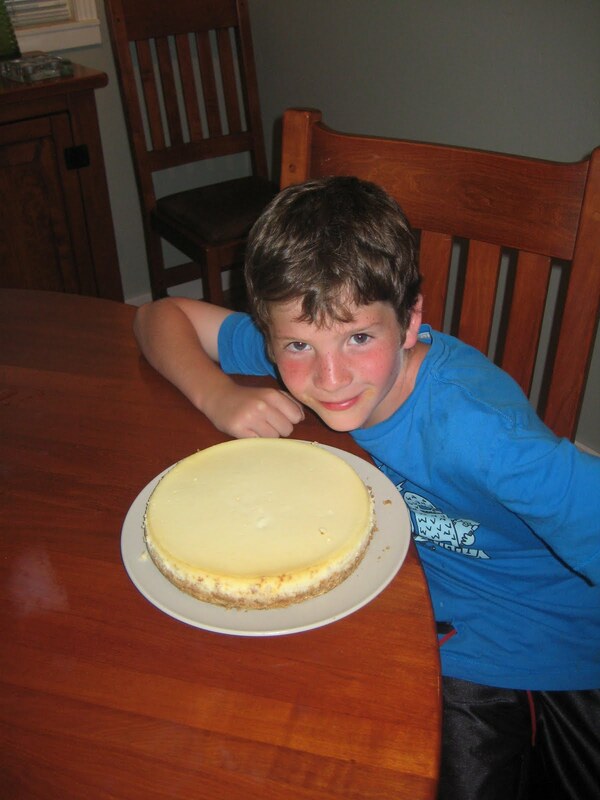 Fin did more cooking last weekend: Another cheesecake and Sticky Date Muffins. Good job I took this photograph quickly because they didn't last long. 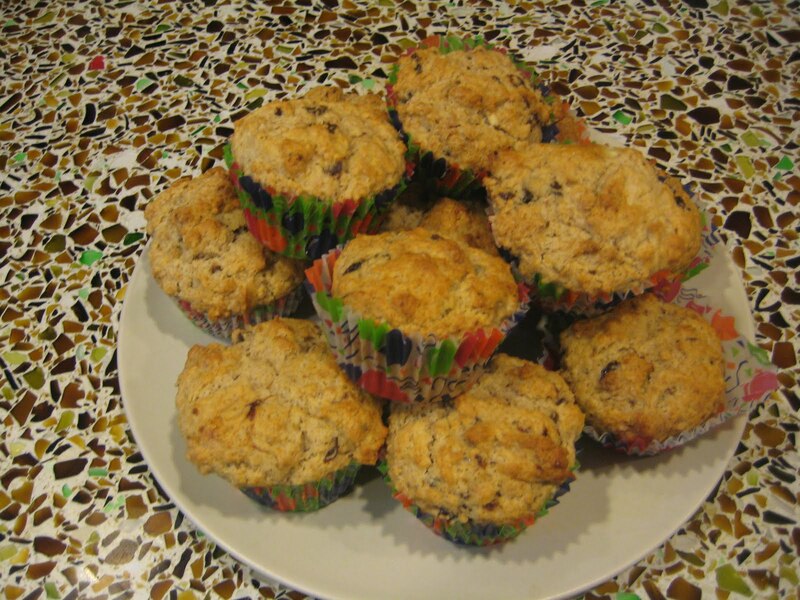 More of Fin's Fablious Food. He decided he wanted to make a cheesecake after we ate a ready-made one. He has become quite snooty about making things from packets: "That's not cooking; cooking has ingredients" so I bought the ingredients for cheesecake from memory while shopping - then had to find a recipe that used ricotta and cream cheese since that is what I bought and not gelatin which many seem to be based on. 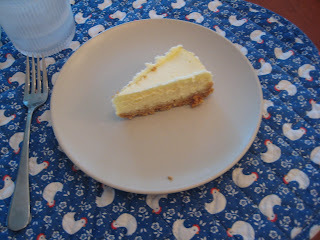 We used this recipe: http://www.foodnetwork.com/recipes/food-network-kitchens/classic-cheesecake-recipe2/index.html, halved the quantities, and substituted ricotta for half the cream cheese. 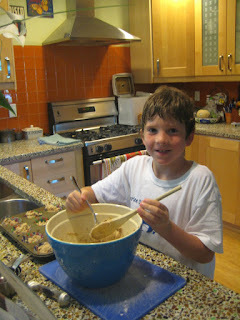 Fin did all the mixing and measuring, and especially creating crumbs with the rolling pin. He was interested that we baked it in a bath of water. He was very pleased with it - and especially enjoyed taking it out of the spring-form pan. It was delicious! I was glad, however that we had made half the quantity - I think we will be eating it all week as it is. 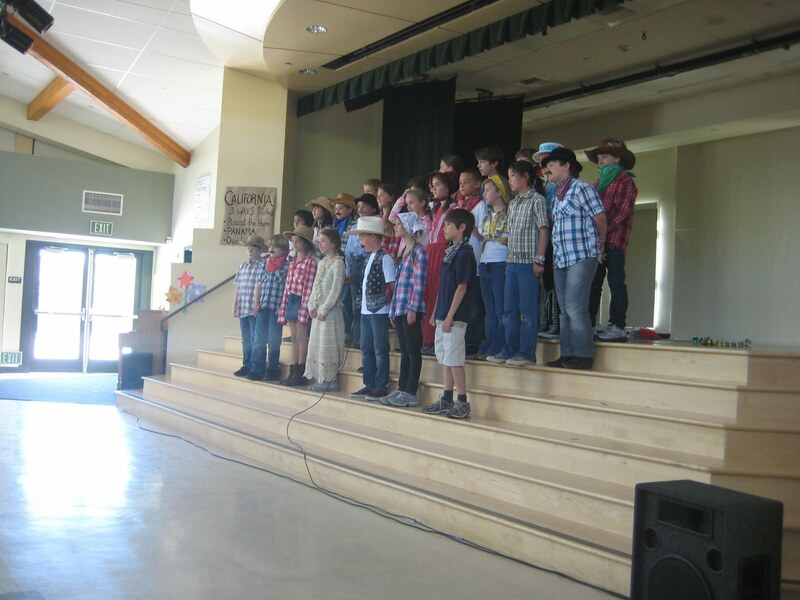 I went to school today to see Adam's class perform "Gold Dust or Bust": a musical based around the 1849 California Gold Rush. 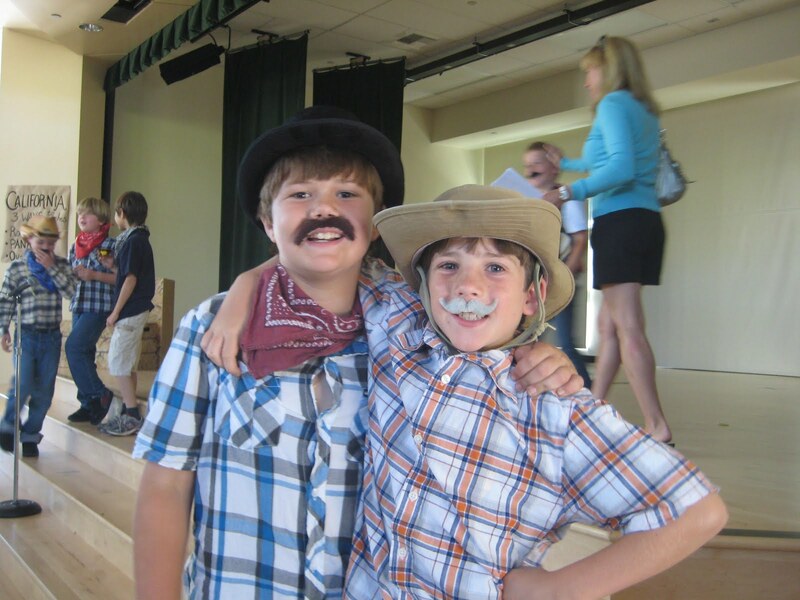 It fits in with the California history they have studied this semester and I think they had a lot of fun doing it. My measure of this is how many of the boys were actually singing rather than just standing there. 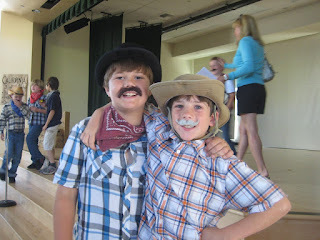 The boys recently inherited some money from my Grandfather - they decided that they would save most of it (for cars!) and spend about $100 each. This expenditure has been the subject of much discussion and finally this weekend they chose what they were going to buy. 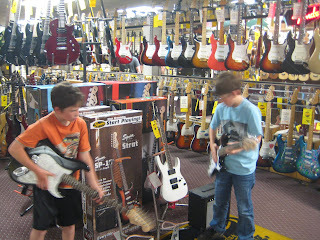 Fin decided on an electric guitar. 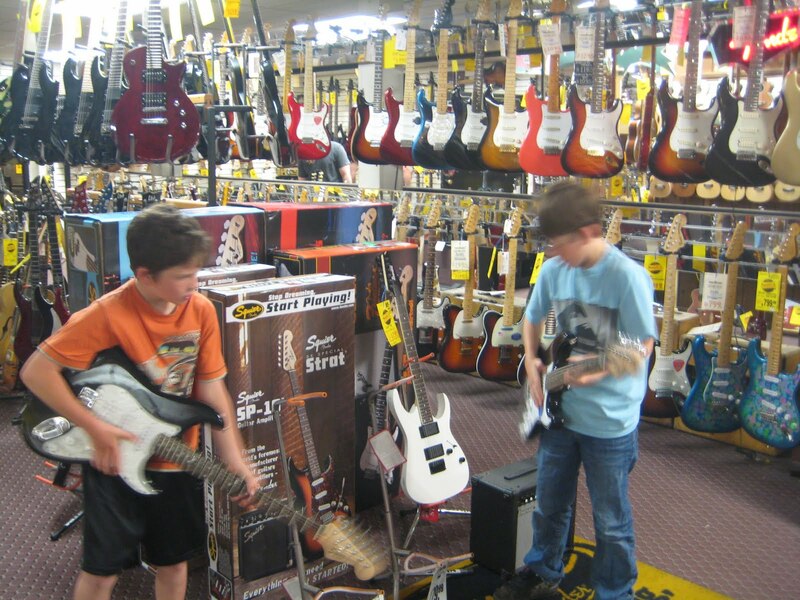 Adam has been playing the guitar for about 2 years now and Fin, having toyed with the idea of drums for a while, thankfully chose a guitar too. 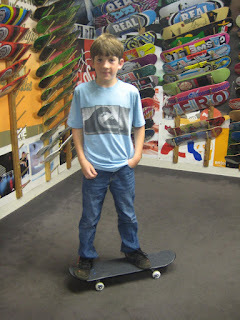 Adam decided to replace his skateboard - he wants something smaller and lighter for better tricks. After extensive discussion with the chap in the NC Boardshop he chose one and spent the rest of the afternoon practicing his ollies on the drive. Despite evidence to the contrary, my wheel has not been sitting idle. 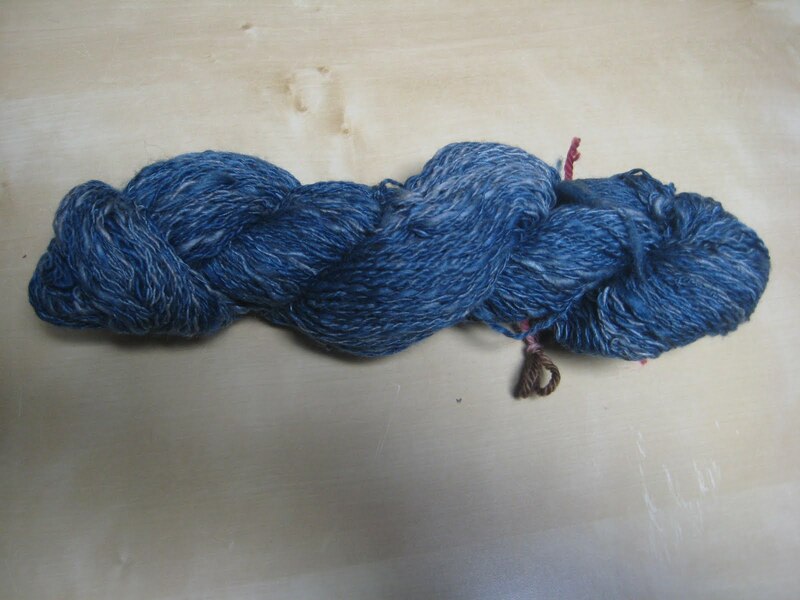 I spun this fibre that I bought at Stitches 2011 from A Verb for Keeping Warm. The fibre is 60% Merino/30% Yak/30% Silk. The colours are lovely subtle shades of blue and it was very easy to spin. I was aiming for a DK weight to knit a hat for Nigel - but it looks a little thinner than that. 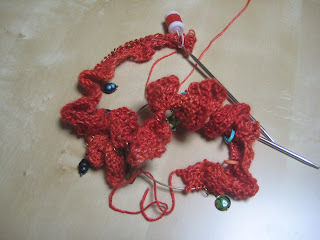 I think I will knit a top-down pattern and knit as long as the yarn lasts. I only have 2oz of the fibre so I may mix it with another yarn once I settle on a pattern. However, since Nigel won't be needing a hat for a while it will probably sit in my yarn stash for a while. I decided to sign up for the Mystery Shawl knit-along at the library. We are all knitting the Wendy Knits Summer Shawlette pattern available from Wendy's website. The pattern is released in parts (or 'clues') over several weeks. I'm a bit behind the other knitters - but hopefully will catch up before too long. I'm knitting it in the lovely Nimu Yarns Helvellyn yarn that Christina gave me for my birthday. 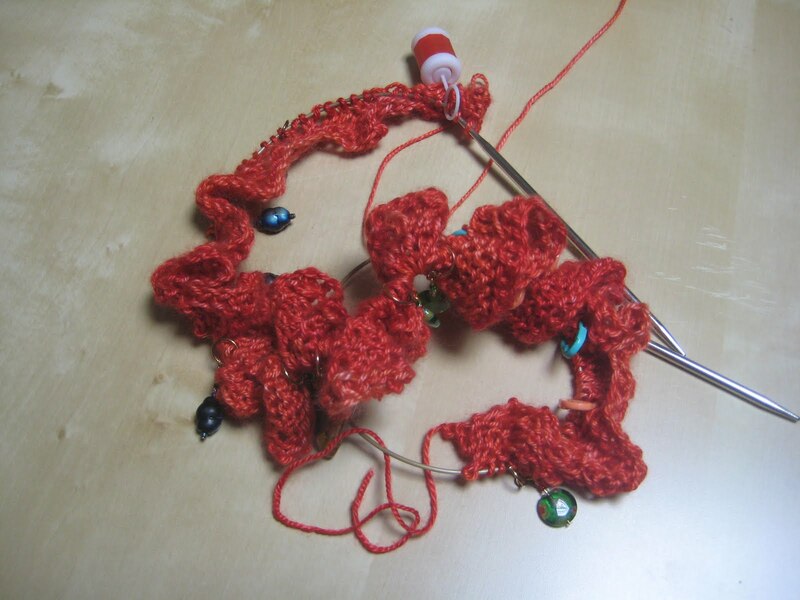 This lovely red/orange yarn is a 65% cashmere/35% silk mix and is very soft to work with.